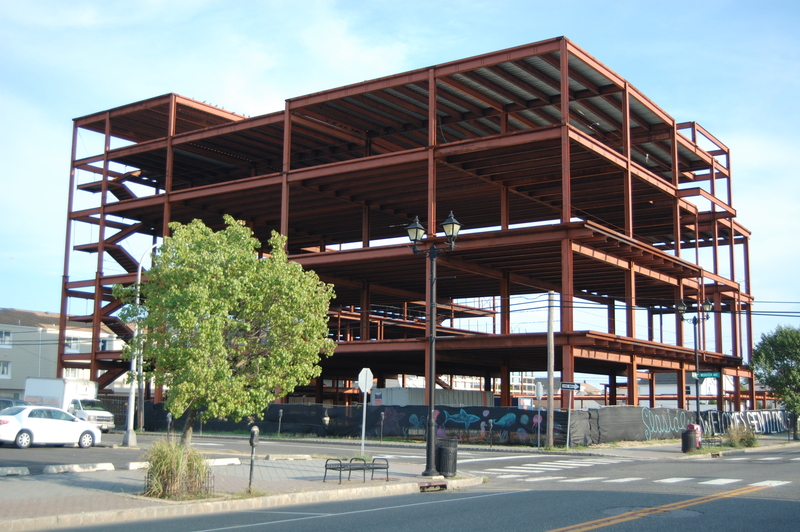 Any planned effort to rid the Boulevard of a steel edifice that is often the source of complaints from residents is – at least temporarily – off the table, as the state has extended a law that keeps building permits active after their expiration dates. The law, the Permit Extension Act, was put in place after the 2008 real estate crisis and continued after Superstorm Sandy devastated the state. It was supposed to expire in June, but legislators decided to extend it another year in Sandy-affected counties, including Ocean County. That means the borough is without any legal tools to do anything about the structure’s presence until June 30, 2017, since a building permit is still technically active on the project. The news came from Borough Attorney Jean Cipriani on Wednesday, after a resident at a meeting of the borough council asked the governing body about the status of the building, which was an area singled out for redevelopment by the borough. The structure’s owner, Vincent Craparotta, did not elaborate as to whether he has considered new plans for the structure when he briefly addressed the council during a short discussion on redevelopment efforts. The hulking building, the shell of which towers over the Boulevard, was intended to be an entertainment complex with pools and nightlife, but never materialized due to the economy and a dispute between Craparotta and a former business partner. Craparotta, for his part, asked that he be included in discussions on redevelopment plans for the Boulevard, which would presumably include his property. The borough, by beginning the process of having the plot of land declared as an area in need of development, has indicated it will require a solid redevelopment plan from Craparotta as well as other land owners along the Boulevard whose lots have fallen into disrepair, including John P. Saddy, who owns the former Merge nightclub property. 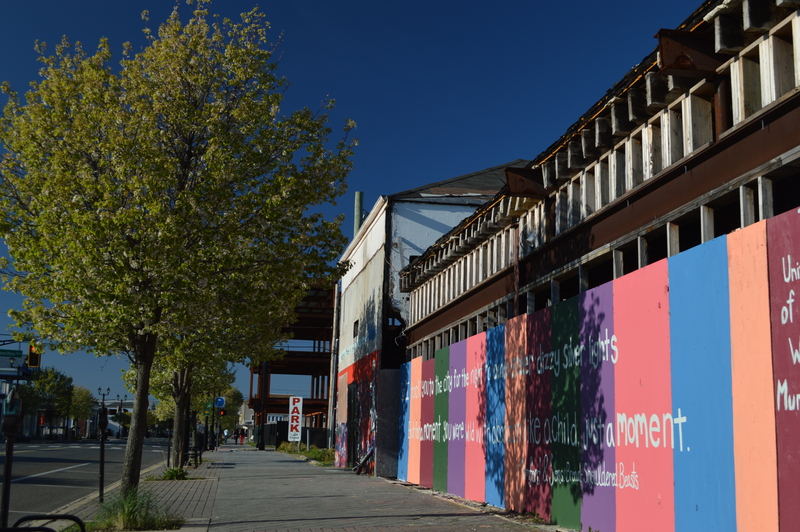 An area legally declared in need of redevelopment may, in some cases, be condemned by the municipal government if no redevelopment plans are proposed. Borough Administrator Christopher Vaz said a report from a redevelopment consultant is expected in late September or early October with recommendations. At that point, he said, redevelopment plans should be drawn up by property owners. Craparotta has previously said he is seeking guidance from the borough on what building heights will be allowed on the site. The borough code currently sets maximum heights for each zone, but the town is reviewing its master plan, which could, in theory, increase or decrease limits. Cipriani said if an area is declared in need of redevelopment, the redevelopment plan – which would have to be approved by the governing body – would take precedence over general zoning codes.